The sales results from the all-important Christmas period are in, and they reveal a very interesting picture emerging on our high streets and online. Despite the gloom predicted by the Brexit vote, shoppers did not seem to be tightening their belts with sales up 1% in December compared to the previous year. But these overall figures mask a more important trend that is happening. Numerous analysts including the British Retail Consortium report that online retailers are doing particularly well whereas the High Street is having a more turbulent time. Figures from John Lewis, one of the UK’s best known brands, show online sales now account for a whopping 40% of the company’s sales. To underline this, online sales grew by 11.8% year on year in the Christmas period (the 6 weeks up to 31 Dec) whereas their physical stores enjoyed a modest 0.8% growth. Another point worth noting from John Lewis’ Christmas figures is that the fastest growing channel was mobile phones with an increase of 81% over last year. Some analysts including Barclaycard have pointed out that it’s not all rosy in the commercial garden. A softening of growth towards the end of the year could be the first signs that consumers will be more cautious going into the New Year. If you are a small to medium sized company, how can you use these trends to help your business? Here are 5 ideas to help you get ahead in 2017. If you’re finalising your marketing budgets for 2017, make sure that you have invested sufficiently in your online marketing campaigns. This is the single biggest insight to come from the Christmas results. Better still, rather than just looking at where money is spent, take time to come up with a real digital marketing strategy. This takes into account where you are now, where you want to be in 6-12 months’ time and what is needed to get you there. Set your goals and get started now. Don’t wait until September to start planning your strategy for Q4 2017. Today’s shoppers are now willing and able to make large purchases online, with many making purchases from their mobile phone. Having a mobile-friendly website that’s easy to use should be seen as a priority. Then you should concentrate on attracting the right type of buyers to your site, through online advertising or improving your search engine rankings. With the pound falling around 20% since the Brexit vote, this means that imports are more expensive. It’s worth analysing your purchasing to see if it’s now more cost effective to order raw materials or products from UK suppliers. Although the falling pound is tough on importers, it means that exporters can get a better deal on their sales. Do you have a strategy for exporting? If you have a website that is currently only selling in the UK, it would not be too difficult to set up international sales. Most ecommerce software lets you pick and choose which countries you are willing to sell to, so you could avoid countries where there is a higher chance of fraud. You could also set up a store on one of the major marketplaces to sell overseas, such as eBay.com or Amazon.com. This is a viable way of testing a new market such as the USA. Using a third party fulfilment centre will improve the customer experience by reducing the time from order to receiving the goods. With the economic outlook looking less favourable in 2017, be prepared to battle it out with the competition. How are you going to differentiate yourself from other sellers? Running discounts and promotions will get you short-term attention, but it’s not a long-term strategy that can be profitably sustained. Look instead to other methods of marketing that are relatively low cost compared to their effectiveness. An example is email marketing. This channel has been shown to have the highest ROI, yet is still underutilised by many businesses. Inexpensive to set up and straightforward to run, email campaigns can be the ideal way to keep in touch with past customers and encourage new customers to buy from you. 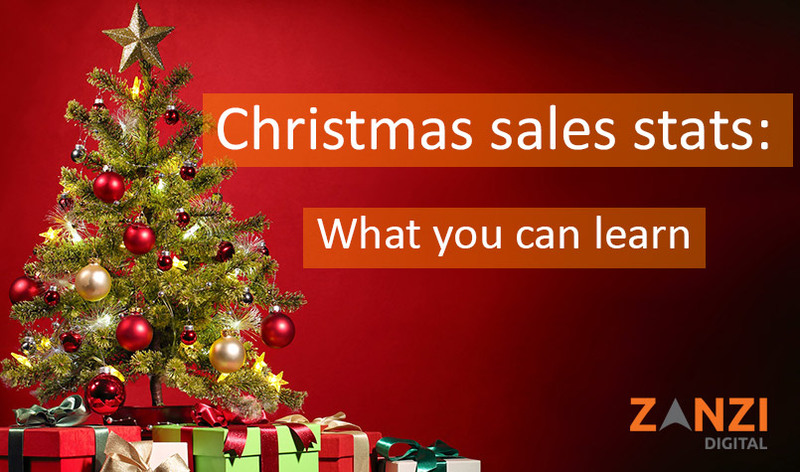 If you would like to discuss tips to improve your sales online this year, call Zanzi Digital on 01865 595260.